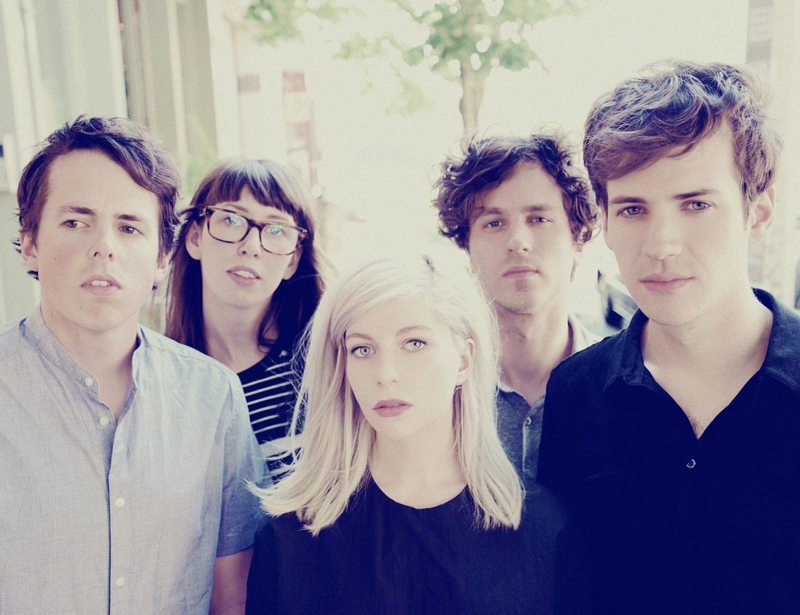 Canadian indie-pop wall of sound. 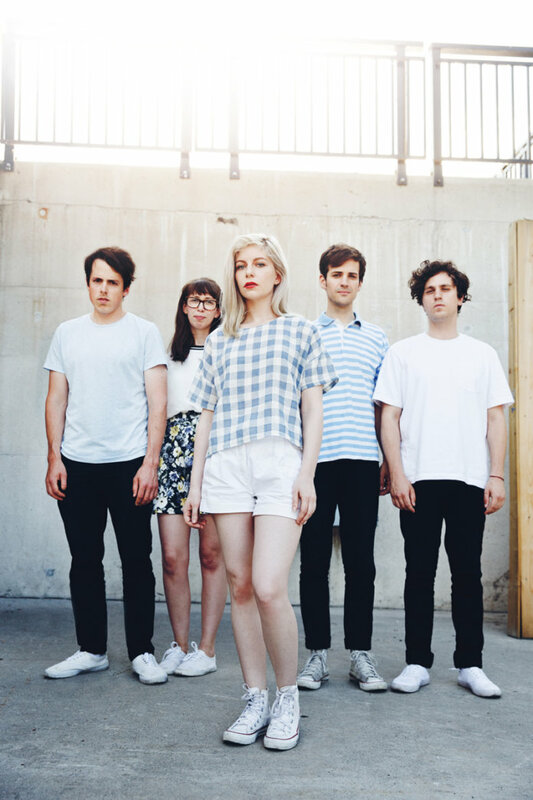 Alvvays may hail from a handful of remote maritime provinces in Canada, but their huge, infectious sound is mined from a rich seam of British influences. 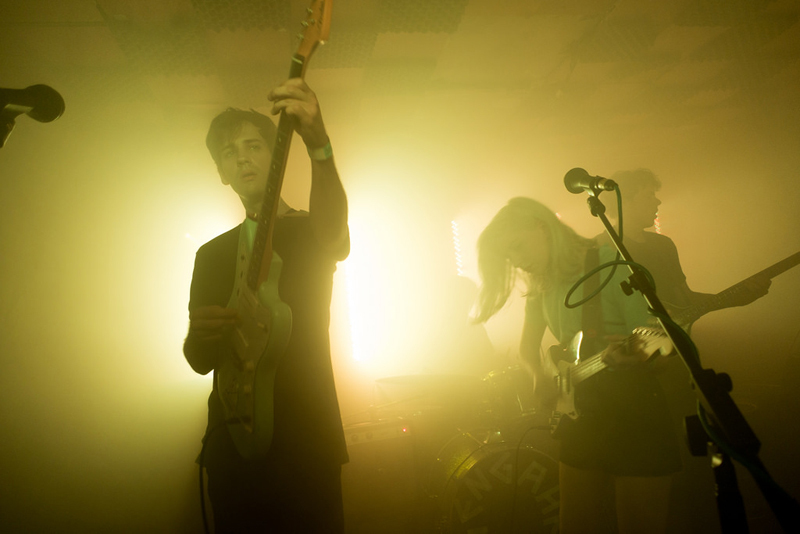 Guitarist and vocalist Molly Rankin met co-guitarist Alec O’Hanley in Halifax, Nova Scotia, and a shared love of Teenage Fanclub, The Smiths, Belle And Sebastian and The Jesus And Mary Chain informs their luscious, jangly wall of sound. Their eponymous debut album is a bittersweet indie-pop delight that reached number one in the US College Radio Chart, yet it’s this side of the pond that the band, now based in Toronto, are held most dearly, with a recent sold-out UK tour and euphoric Glastonbury appearance underlining our appetite for the Canadians. “We broke more or less in the UK,” reflects O’Hanley, who still works in Toronto guitar shop Paul’s Boutique when he finds time. “The Brits were more receptive to our stuff early-on. We were over in the UK when we found out we went number one in the US College Campus Radio Chart, but I think it was in large part due to the reception we got on this side of the lake. O’Hanley is quick to acknowledge the catalysing effect that British influences had in the band’s development. “I don’t know what it is about UK bands, there was something in the water in the late 80s,” he says. “We lean pretty heavily on the Glaswegians and Mancunians. We got into The Smiths together, Cocteau Twins were big for us, and Johnny Marr is tough to top. It’s him and Lindsey Buckingham for me. Anyone lucky enough to catch one of the band’s UK dates in September would have witnessed an exhilarating live sound built around a pair of Fender Deluxe Reverbs, with the Electro-Harmonix Deluxe Memory Man, ProCo RAT and Dr. Scientist Reverberator among the pedals on their boards. “I’ve got the reverb at zero most shows, I like the Kevin Shields approach of achieving that wall of sound without reverb,” says O’Hanley. “Reverb is valuable and we use it on our record, but delay is just as effective, if not more so. “On the record, we used almost exclusively the Fender Champ, which I also use live. I stick it on top of my Deluxe Reverb and it’s nice, it’s just a tight little recording amp. “When you hear about AC/DC using tiny recording amps in the studio, if a band of that sonic magnitude can go that route, then why can’t we? A lot of it was just a Champ with a ’58 stuck in front of it. There’s no onboard reverb with the Champ, so we used a Reverberator pedal, and we lean pretty heavily on the old Deluxe Memory Man, too. It’s probably the best guitar pedal out there – it’s great for slapback and self-oscillation. 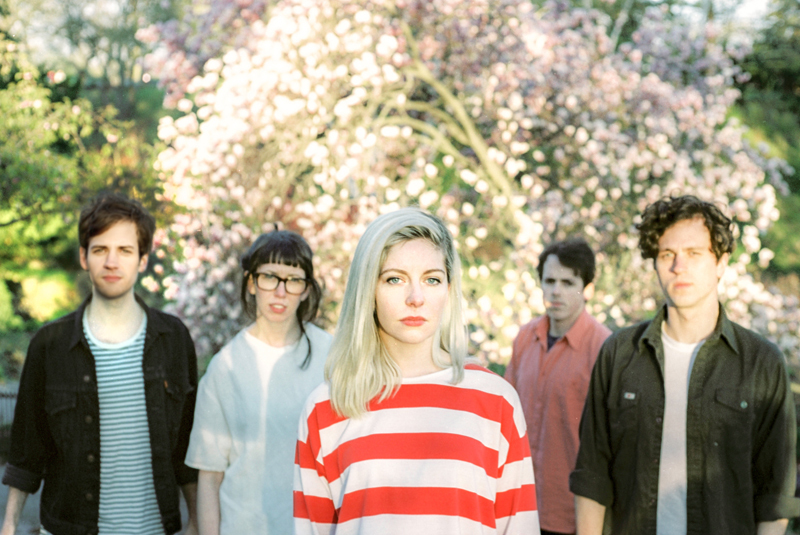 Alvvays are now back in their homeland hunkering down for the unforgiving Canadian winter and preparing to write the follow-up to their debut release, but British fans can expect to see them back this side of the Atlantic next year. “We’ve been able to have a lot of fun over here with audiences and people knowing the record, which is not always the case for us. We have a lot of fond memories of playing the UK,” says Rankin. Gary Walker has worked in journalism for 15 years on a variety of newspapers and magazines. 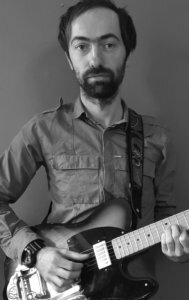 He is currently the production editor of Guitar & Bass and Music Tech magazines.